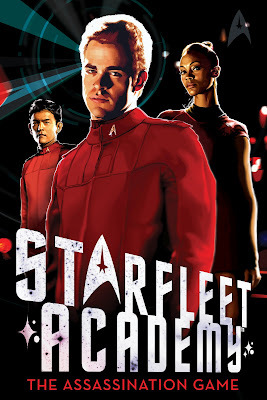 The Assassination Game is the fourth book in the new Starfleet Academy series. Where does it fit into the timeline of our heroes education at the academy, and what is the book about? The Assassination Game is about a series of terrorist events on the Starfleet Headquarters/Starfleet Academy campuses, either caused by, or in reaction to, the arrival of the Varkolak, an antagonistic alien species I invented for the book. 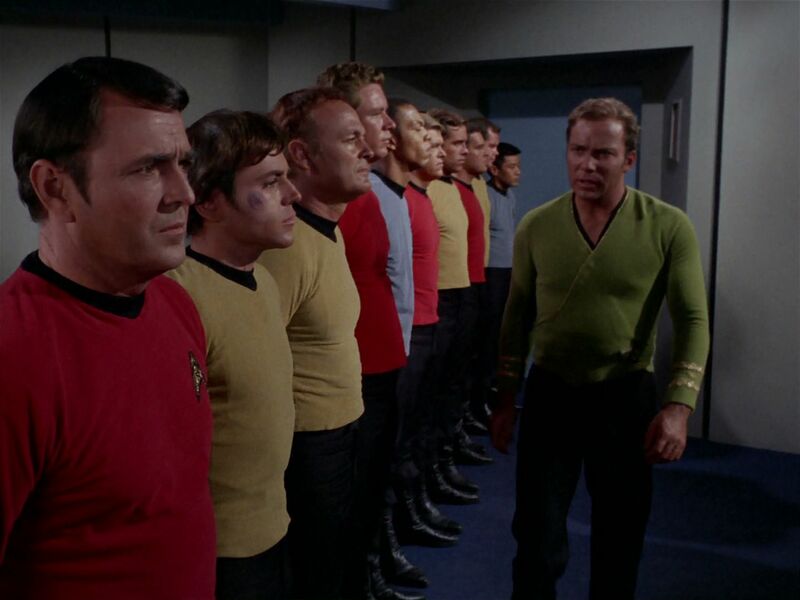 Meanwhile, Kirk and Bones are participating in an underground student event called The Assassination Game, which sees cadets trying to "kill" each other by catching each other alone and tapping each other with a cafeteria spork. The two storylines cross, naturally, culminating in a rousing climax with a spork. :-) As to when this occurs, I was less specific about that. Let's just say it's not the characters' first year at the academy, nor their last--assuming they were there for a year or two before the events of Star Trek XI. That was one of the tricky things about writing this book, of course: trying to fit it in with what we know--and don't know--about the new alternate timeline continuity. ThinkGeek's spork back in Trek lit! 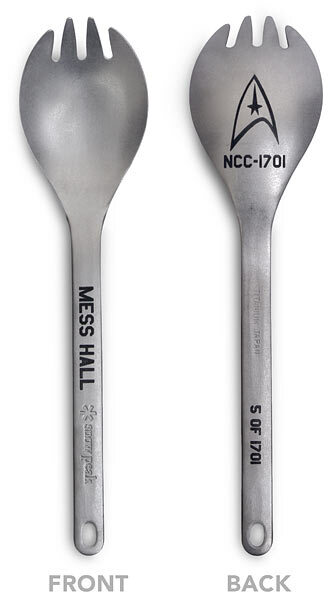 The use of a spork wasn't inspired by Think Geek's real Starfleet styled spork was it? That will be the second literary reference to that particular quirky Trek product if so! It was, in fact, a deliberate reference! ThinkGeek saw that in the description, and e-mailed me to see if that's why I had done it. I admitted I had, and they were so pleased they said they're going to order some to carry on the web site. My wife bought me one of the engraved Starfleet Academy sporks from ThinkGeek to celebrate the publication of the novel. This is your first Star Trek story, but you're an established writer of young adult and childrens' books. How did you find yourself writing a Star Trek book? So, funny story: My dream was always to become a professional author, and I studied writing as an undergrad and a graduate student. I was also a longtime Trek fan, and enjoyed reading Star Trek novels. (Particularly Peter David's.) It wasn't long before I put my two passions together and tried to write a Star Trek novel. I wrote a story about Worf, while still an officer on the Enterprise, being sent to the Gamma Quadrant to bring back a rogue Vulcan anthropologist, ala Marlow going after Kurtz in Heart of Darkness. But Pocket Books wouldn't look at your Star Trek book unless you were agented, and no agent I approached wanted to take on a writer with a novel that could only be sold one place. (And probably for not very much money.) So my then-girlfriend (now wife) and I got an idea: she would open shop as a literary agent and submit my Star Trek novel as my agent! We printed up agency letterhead and everything. Off the submission went, and...we heard nothing. Of course, a real agent would have called to poke them, but Wendi wasn't a real agent, and we didn't know any better. Months and months went by, with no response whatsoever, and we let it go. I was moving on to writing books for young readers by that time anyway, and though I still dreamed of writing for Star Trek, that vision was quickly disappearing in the rear view mirror. Cut to a year and a half later, and Wendi and I are hanging out at her house when, lo and behold, an editor from Pocket Books calls. Stunning! It turns out the submission had been overlooked in some way (I suspect someone used it to prop up a wobbly table) and they had just found it. The editor liked the writing, particularly the humor, but I had made Worf stop over at DS9, and unplanned crossovers were deal killers for the books. I'm not sure why it was never asked if I could just resubmit if I took that part out; perhaps it was because I had moved on. For whatever reason, my brush with Star Trek publication had passed me by. I suppose you could say I've come full circle--though I hope its an ever-widening circle. Book four in the Starfleet Academy series was first listed for publication more than a year ago, and has been pushed back several times, and changed listed authors, until eventually seeing light now. I understand this is at least partly down to the intricate approvals tie-ins to the new Star Trek timeline have to go through, via both CBS and Bad Robot. What was that process like for you as the author? Was there much you had to change? I was hired to write this novel at the end of 2010, with an expected publication date, I was told, of September 2011. Not much time to write a book! But I knew the world and the characters very well, and I was enthusiastic. I also had a nice gap in the non-Trek projects I was already working on, so I could do it. I banged out an outline, which had to be approved, and waited. And waited. And waited. The problem wasn't the publisher, it was the film production company, JJ Abrams' Bad Robot. Every time something had to go through them for approval--which was everything--it took far longer than anticipated. To be fair, their real business is making movies and TV shows, not reading through Starfleet Academy tie-in novels. But those delays torpedoed the original on-sale date. Writing a novel set in a universe that is, even as you write your story, changing and evolving, is a tricky business. I would put something into the book (a race, a Trek institution, a ship), and word would come back that Bad Robot wanted that part out in case they decided to use it later. This book also had to exist in a particular moment in this evolving timeline. In the movie, Kirk and Spock only truly meet one another during the confrontation over the Kobayashi Maru test at the Academy. Right after that, they launch into space to battle Nero. But this whole series takes place BEFORE those events. So here I am writing a story with one of the best duos ever created--Kirk and Spock--and I can't ever put them in a scene together! At one point, I had a jokey moment where one of them passes the other in the hall and asks who the other was, but I had to take it out. Kirk and Spock must never meet each other in these books. Period. I understood the reason for all the rules and stipulations put on the novel. In fact, I kind of enjoyed them. Necessity is the mother of invention, as they say. But because the book took place in a current continuity AND had like 40 years of prior backstory to reckon with, it had to go through three separate steps at every stage: first, through my editor at S&S, then through the Star Trek major domo at CBS/Paramount, and finally through the folks at Bad Robot. That's a lot of cooks! I'm happy to say that all those cooks didn't spoil my broth, however. Though I had to make changes along the way, the story and dialogue are all my own, and I'm very proud of the whole book. You're also one of just a handful of authors so far to have written the new timeline versions of the TOS characters. What sort of experience did you have thinking about these as both new and familiar characters? I knew the Original Series versions of these characters very well, of course. 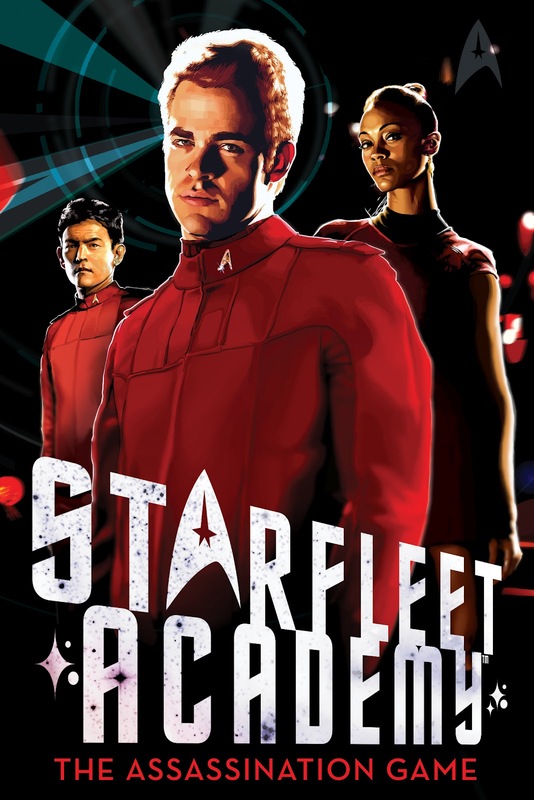 I owned a copy of Star Trek XI too, and I watched it a few times in succession before working on this novel to get the new characterizations down. That said, I wanted to pull in as much of TOS and its characterizations as I could. If you read The Assassination Game, you'll find: a parallel to the dressing-down Kirk gives his crew in "The Trouble With Tribbles," only in reverse; the origins of the Corbomite Maneuver; and some explanation as to why Kirk wants to punch a guy named Finnegan in the face in the original series episode "Shore Leave," among other TOS nods. As to the new movie, I was particularly intrigued by the relationship between Spock and Uhura, so I explored that more in my book. I also got to introduce Sulu to the book series! I was pretty stoked about that, as Sulu is one of my favorite characters from TOS. In every case, I tried to imagine I really was writing for the same old characters in a new, alternate timeline: how would the events of Star Trek XI have changed them from what we already knew? And in what ways would they still be the same? It was a fun challenge. The Starfleet Academy books preceding your own have featured a few familiar faces, including something rather Borg like, and the Romulans native to the timeline (who have subsequently also appeared in the ongoing comics series). Did you get to work in any familiar Star Trek friends or foes in your book? I tried. There is a secret society at Starfleet Academy in my book, and originally they were called "The 31." This wasn't an origin story, as ENT already established Section 31 was around pre-Kirk. But my idea was that Section 31 had begun as a secret society at school, and since grown into something more widespread. For whatever reason, I was asked to separate my secret society from that one, and so the name changed. In my heart, it's still Section 31. Like the other authors in the series, I had wanted to take what is now a key, canon Trek institution and work it into this new timeline in a novel way, but it was cut out in the editorial process. 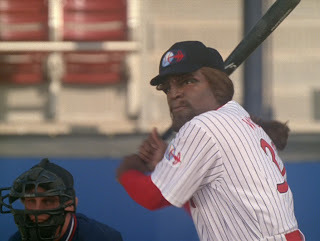 I see several of your previous books have been based on baseball, which is of course a familiar game in the Trekverse, did you manage to sneak in any references to the game? Ha. You know, I don't think there's a single baseball reference in this book! I do get a mention of Parrises Squares in there, and Kirk and an alien play a game of Velocity, which I borrowed from VOY. I should have put baseball in there somehow. I still play on a weekly Star Trek sim, and part of my character's backstory is that he was the third baseman on the Starfleet Academy baseball team, which I dubbed "The Starfleet Redshirts." (An homage to the Red Sox, and, of course, to everyone's favorite fall guys.) I also think "The Deep Space Nine" is an awfully funny old-schoolish name for a Star Trek baseball team. And finally, what's next for you? Do you hope to revisit the Star Trek universe, and if so would you be hoping to stick with the young adult books, or maybe dabble in the adult prose too? Or maybe something in the prime timeline? Thanks to Alan! I'm waiting for my own copy of the new book to arrive! You can find out more about Alan's books on his website, and find a list of the Starfleet Academy series so far, here. Screencaps above via the ever useful TrekCore.